Chinese New Year happens to coincide with World Nutella Day this year. So I thought, why not make something that crosses those two bridges? 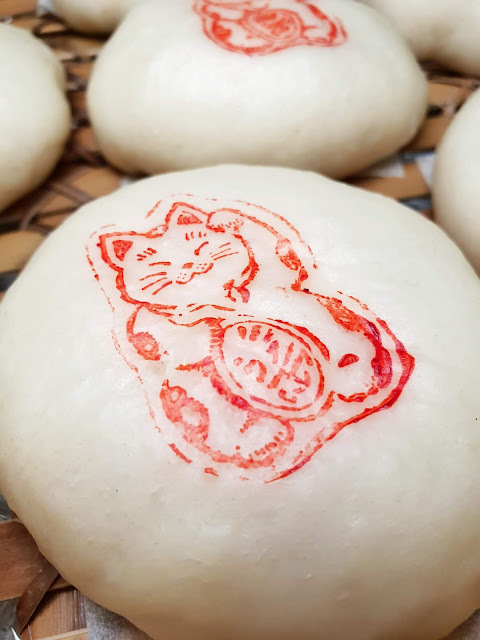 To stamp the tops of the buns, I just used an ordinary rubber stamp with some red gel food colouring. 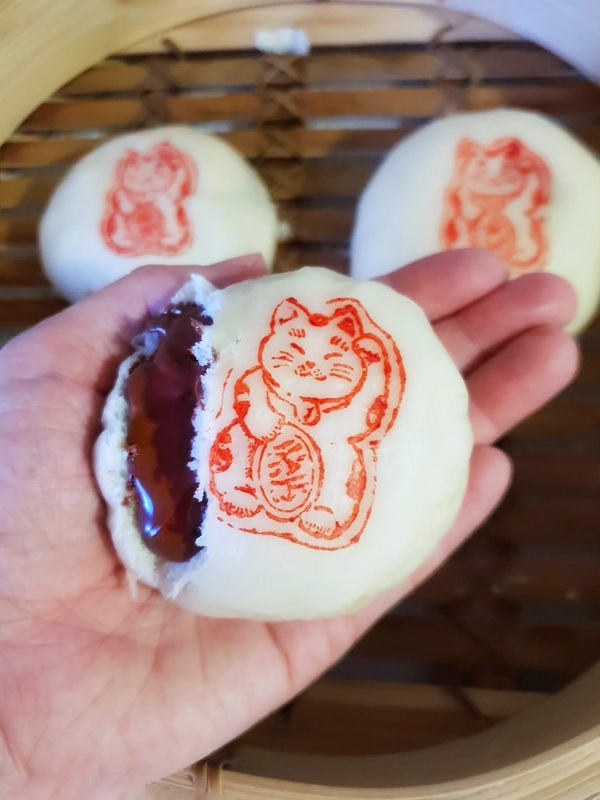 Technically speaking the lucky cat I'm using is a Japanese one rather than a Chinese one because the characters it's holding alludes to Japanese money, but hey it's the only lucky cat stamp I have. You can of course use any stamp you like. 1. 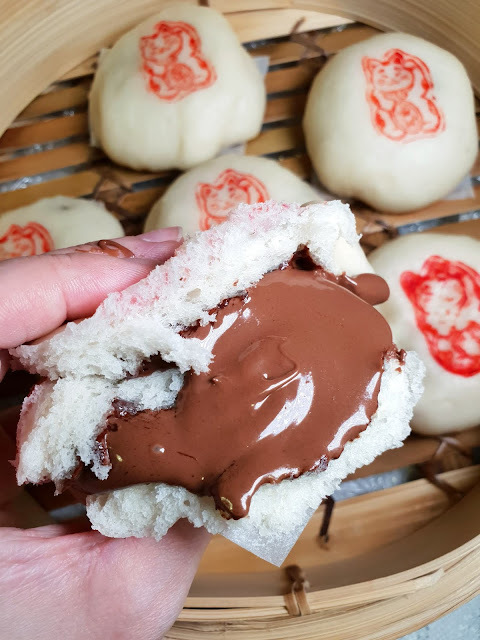 The day before you want to make the baozi, freeze the Nutella as individual tablespoonfuls. 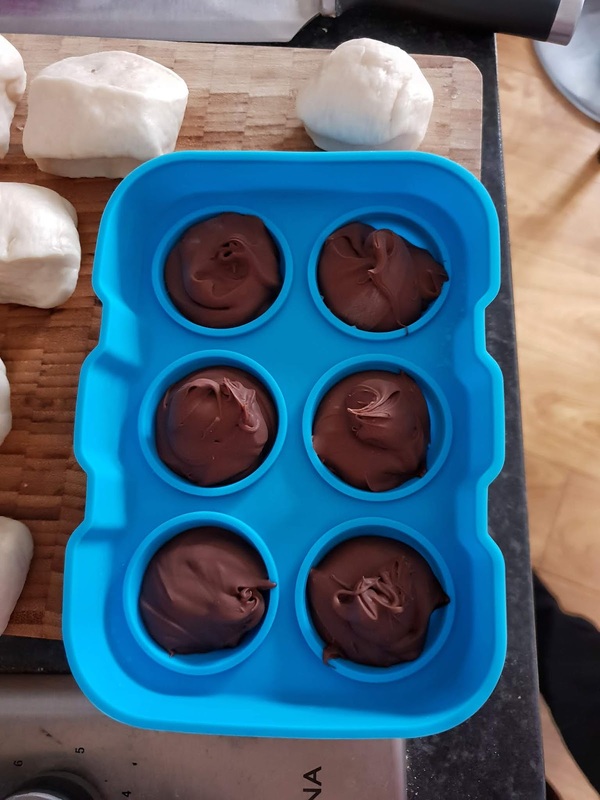 I used a couple of silicone ice ball moulds, but you can also dollop it into a few egg cups lined with clingfilm. 2. To make the bao dough, mix all the ingredients together in the bowl (I didn't bother dissolving the yeast in the water this time), mix until the dough comes together and is smooth, and turn out onto a clean work surface to knead for 15 minutes. 3. Pop your kneaded dough back into the bowl, and let it rest for 15 minutes. 4. 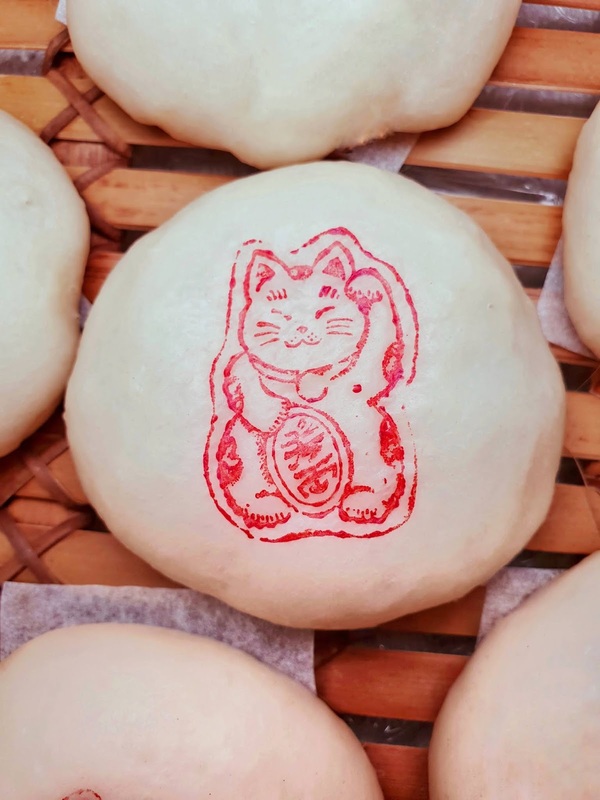 Split your dough into six, roll each piece into a rough ball, cover loosely with clingfilm and rest for another 10 minutes. 5. 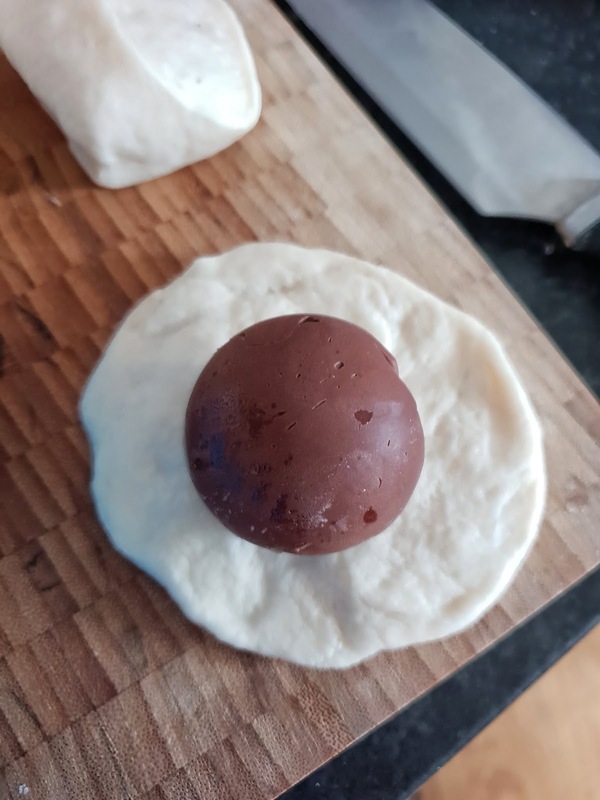 Flatten the balls out into discs, popping a frozen ball of Nutella into the centre of each and pinching the dough shut to create round parcels. 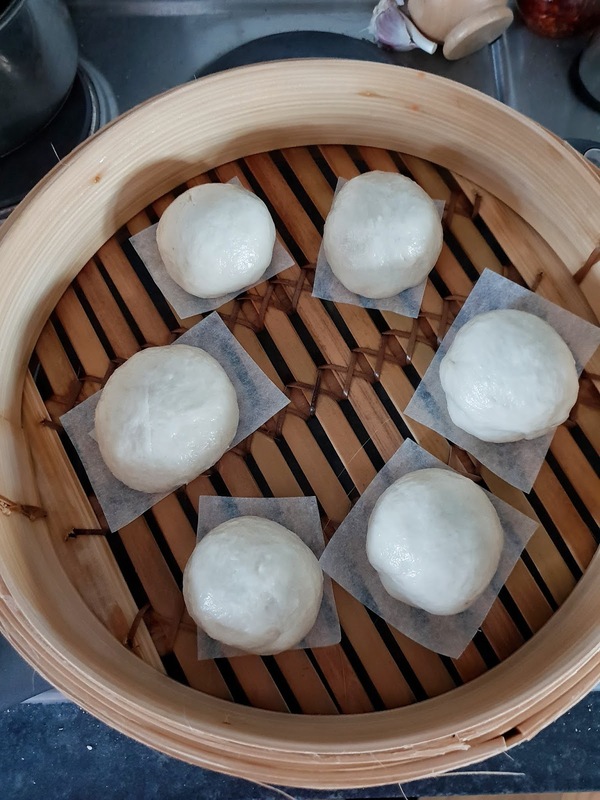 Roll a little more to smooth out the balls, pop each on a square of baking parchment, and place in a bamboo steamer (but not on the heat yet) t rise for about 25 minutes, or until doubled in size. 6. 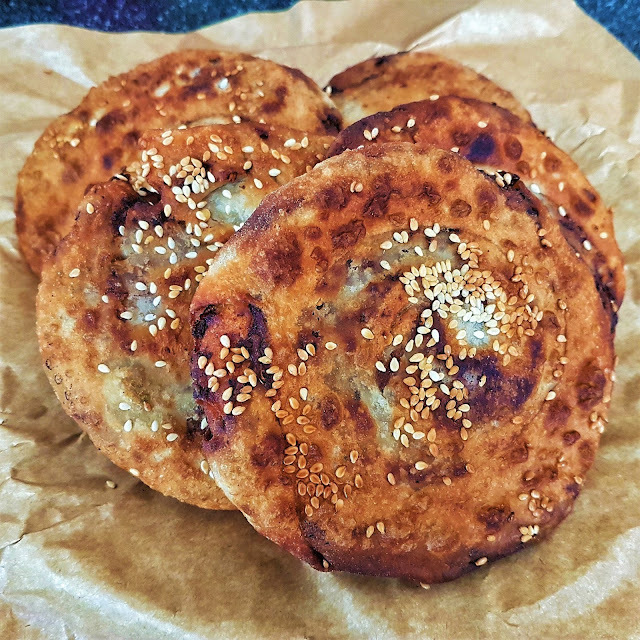 Steam the buns for 15 minutes over a high heat. After they're steamed, while they're still hot, ou can stamp a pattern on top if you like.